The opening and closing prices of the commodity are equal in this pattern. This pattern consists of a single candle. 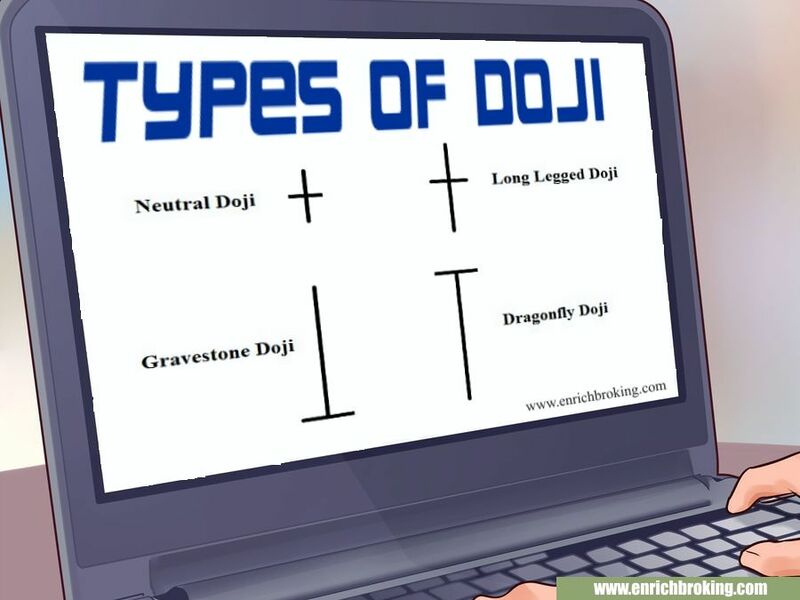 The Doji candlestick pattern usually looks like a cross, inverted cross or plus sign. When the buyers and sellers fail to take a decision in the commodity market, it gives rise to Doji pattern. The candlestick pattern can be classified into four types. This is a small candlestick pattern. When the “buying and selling is at equilibrium”, this pattern occurs. At the middle of the day’s high and low, the commodity opens and closes. The future direction of the trend is regulated by the prior trend and the Doji pattern. As the name suggests this is a long candlestick pattern. When the “supply and demand” factors are at equilibrium, this pattern occurs. The trend’s future direction is regulated by the prior trend and Doji pattern. This pattern gives rise at the bottom of a downtrend when supply and demand factors are at equilibrium. At the day’s low, the commodity opens and close. The future direction of the trend is regulated by prior trend and Doji pattern. At the day’s high, the commodity opens and closes. Doji patterns are helpful to identify trends. To ensure that our trading strategy is effective, it’s always recommended to mix and match the patterns and indicators.